POS-X is excited to announce the first new product stemming from the recent acquisition by Custom America: the K3 thermal receipt printer. Built for speed, the K3 sets the bar for performance while still maintaining unmatched product reliability. Standard USB, Serial, and Ethernet means the K3 is ready for any installation right out of the box. Backed by a full suite of software features including iOS and Android printing support, the K3 is easy to integrate with any software package. An extra large paper compartment greatly reduces interruptions caused by swapping paper rolls, which can save hundreds of dollars over the lifetime of the printer and improve the end customer’s experience at the point of sale. 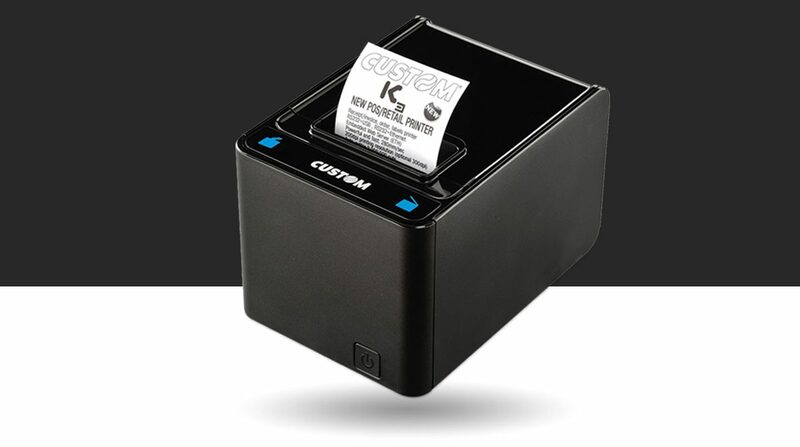 The K3 thermal receipt printer is available now through all of POS-X’s distribution partners.